Trump supporters raise right hands to pledge support to Donald Trump. 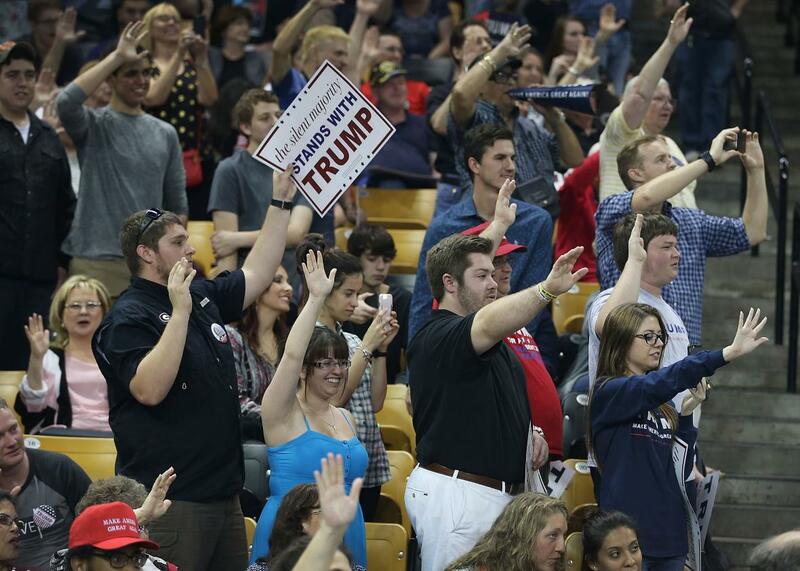 Trump Supporters Raise Right Hands to Pledge Support. The Photos Are Terrifying. Probably nothing to worry about: People raise arms pledging to vote for Trump at the University of Central Florida on March 5, 2016 in Orlando. The crowd cheered at the end. “Thank you. Now I know. Don’t forget you all raised your hands. You swore. Bad things happen if you don’t live up to what you just did,” Trump said before continuing with his speech. Read more Slate coverage of the 2016 campaign, no pledge required.